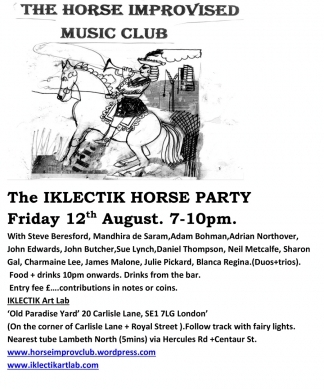 The IKLECTIK HORSE PARTY Friday 12th August. 7-11pm. 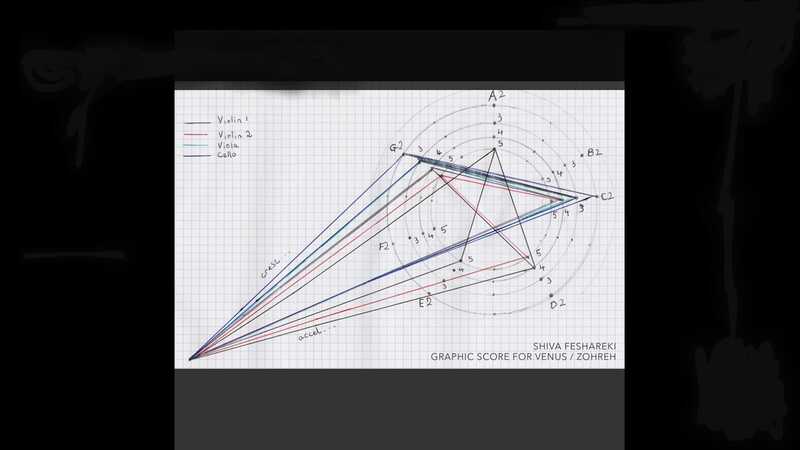 IKLECTIK Art Lab’s 2nd Anniversary. 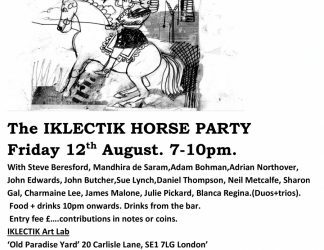 With Steve Beresford, Mandhira de Saram, Adam Bohman, Adrian Northover, John Edwards, John Butcher, Sue Lynch, Daniel Thompson, Neil Metcalfe, Sharon Gal, Charmaine Lee, James Malone, Julie Pickard, Blanca Regina. (Duos+trios).Food + drinks 10pm onwards. Drinks from the bar. 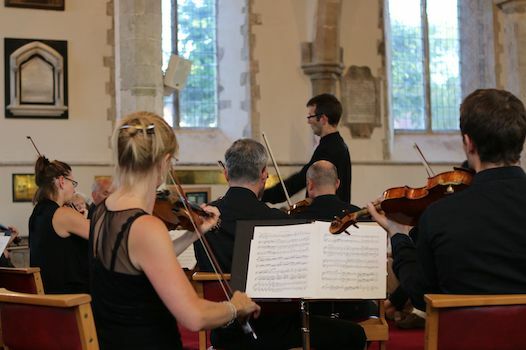 Entry fee £….contributions in notes +coins.